Do you want to expand your small business through effective and affordable advertising? Valpak has been helping businesses grow locally for 50 years. The nation’s well-known shared direct mail marketing leader offers you a variety of channels to promote your business to the households that matter most to you. The Blue Envelope® of coupons is welcomed into as many as 120,000 Memphis area households each month. Direct mail coupons are effective, but they are not the only small business advertising service offered by Valpak of Memphis and the Mid South. 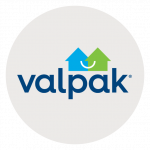 Increase your digital presence by becoming part of valpak.com. Our marketing team can develop a custom business website for you or establish a business profile page directly on the Valpak consumer site. Access the analytics to find out how well your Valpak marketing campaign is performing with our proprietary performance dashboard or call tracking tools. Monitor consumer response and make adjustments if necessary to improve your ROI. Contact Valpak of Memphis and the Mid South today to learn how you can target qualified addresses in cities like Memphis, Jackson, Cordova, Collierville and Germantown, Tennessee, as well as Southaven, Olive Branch and Horn Lake, Mississippi and West Memphis, Arkansas. For specific dates and coverage, contact your Valpak of Memphis & The Mid South representative.